NEW YORK – It’s Super Bowl ad time again. Advertisers of all stripes are vying for the attention of the 111 million viewers expected to tune in. The goal is to be the most-talked about ad over the water cooler – or Slack chatroom – come Monday morning. Amazon: The internet giant’s founder, Jeff Bezos, stars in this 90-second comedic ad showing different celebrities including chef Gordon Ramsay, actress Rebel Wilson, singer Cardi B and actor Anthony Hopkins subbing in for the voice of Amazon’s voice assistant Alexa. Budweiser: Anheuser-Busch dispenses with its usual Clydesdales and puppies and instead goes with a 60-second ad that depicts, to the tune of “Stand By Me,” the company’s program to provide water to areas in need. Bud Light: The beer brand’s recent ads have centered on a Game of Thrones-like universe that uses the meaningless-but-catchy phrase “Dilly Dilly.” Now, in a 60-second ad running in the second quarter, the brand introduces “Bud Knight,” a heroic character who is ambivalent about helping out in a battle. 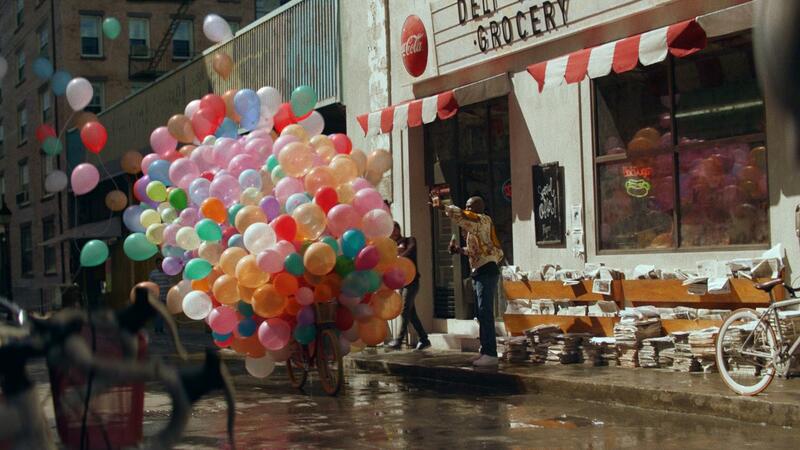 Coca-Cola: The soda maker strives to include everyone in its 60-second ad: people of different ethnicities, someone in a wheelchair and a person who uses the they/them pronoun are all shot at various locations in Mexico clutching or drinking different varieties of Coke. Doritos & Mountain Dew: The two Pepsico brands have linked spots that show a lip-sync battle between Peter Dinklage, who lip syncs a Busta Rhymes song as a representative for Doritos Blaze, and Morgan Freeman, who lip syncs a song by Missy Elliott for Mountain Dew Ice. Febreze: Procter & Gamble’s air freshener tackles toilet humor with a 30-second ad airing in the second quarter. It purports to be a documentary about Dave, whose “bleep don’t stink.” The kicker: Since your Super Bowl party guests are a bunch of not-Daves, you might want to take other precautions against bathroom odor. Kia: The automaker has enlisted Aerosmith lead singer Steven Tyler (who last popped up in a Skittles Super Bowl ad two years ago) to promote its Stringer sports car. In the ad, he drives backward so fast that he gets younger thanks to computer-generated magic. In a nod to advertising tropes, the ad also contains a subliminal message if you watch it backward; Kia helpfully provides this version online. Michelob Ultra: The Anheuser-Busch light beer brand has 30-second ads in the second and fourth quarters starring Chris Pratt . In one he runs and does yoga while singing along to “I Like Beer,” a remake of a country song from the 1970s. Pepsi: The soda maker calls back to its past Super Bowl advertising efforts with Britney Spears, Michael Jackson, Celtics basketball player Kyrie Irving and Cindy Crawford in a 30-second ad airing right before the Justin Timberlake halftime show. WeatherTech: The maker of car floor mats shows footage of its new factory being built in a 30-second ad in the first half of the game. On-screen text reads: “At WeatherTech, we built our new factory right here in America. Isn’t that the way it’s supposed to be?” It’s the fifth consecutive year WeatherTech has advertised during the Super Bowl that all of its operations are in the United States. NEW YORK – Peyton Manning takes a family to Universal Parks & Resorts. Chris Pratt works out to get in shape to tout Michelob Ultra. Bill Hader takes a break on set to snack on some Pringles. In a Pringles ad , Bill Hader has a snack on set and introduces a made-up practice dubbed “flavor stacking,” in which he mixes and matches different Pringles varieties. M&Ms enlisted Danny DeVito to embody what happens when a red M&M becomes a person after wishing on a lucky penny. Coca-Cola’s anthemic 60-second ad features varieties of Coke, from Coke Zero to the stevia-flavored Coke Life, quaffed by women, men and a person who uses the “they” pronoun. It’s the fifth year WeatherTech has advertised in the Super Bowl touting its all-American operations. Founder and CEO David MacNeil said his ad doesn’t have typical Super Bowl accoutrements – “no ponies, no puppies, no pretty girls” – but said it’s straight to the point about its message. While the majority of advertisers release their ads ahead of time to try to drum up publicity, there are some holdouts. Fiat Chrysler usually appears during the game without advance warning. Other advertisers that have remained mum about their plans so far include E-Trade and Monster Products. “It may be that advertisers with risky ads are waiting for the game, hoping to protect the surprise and break through the clutter,” said Tim Calkins, a marketing professor at Northwestern University. Published: Feb. 2, 2018, 8:07 a.m. Updated: Feb. 2, 2018, 12:09 p.m.